Of the Kitten Kind: Suzie Spoon's Vegetarian Kitchen. 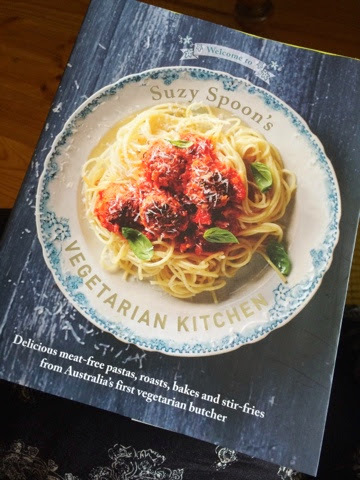 I first heard of Suzie Spoon a year ago, when wandering around Newtown in Sydney, I stumbled across her store: Suzie Spoon's Vegetarian Butcher. As the name suggests, she sells a variety of handmade mock meats and let me tell you, they're damn delicious. You can imagine my excitement when I was parousing the cookbook section of my local bookshop. I was pushing the scalding knowledge that I already own far too many cookbooks deep into the back of my mind. This elegant cover stood out from the shelves, and as I turned the pages, I noticed that the food presented wasn't your usual run of the mill stuff that you get in most vegan cookbooks. Admittedly, there are a couple of vegetarian recipes, but they can easily be adapted. Think recipes like salt and pepper mushrooms, beer battered tofu, sweet chilli barbecue seitan, chocolate self saucing pudding, and my favourite recipe so far caramelised onion and tofu tart. 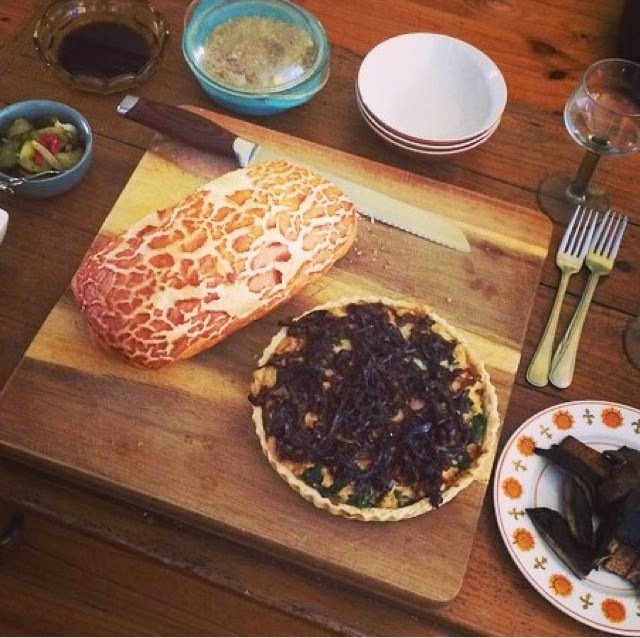 I made the tart for a brunch I had with some omnivorous girlfriends. I wasn't sure how they'd react to the tofu, but they actually went back for seconds. I think I'll make the Hills Hoist bean salad next.